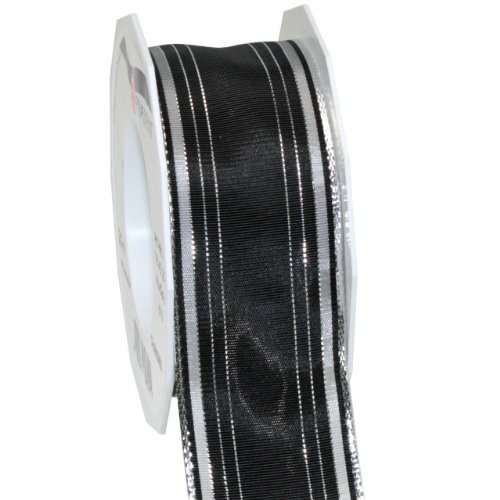 Nylon ribbon has a beautiful reflective metallic shine. Perfect for weddings, silver & golden anniversaries, birthdays, Christmas, or any other special occasion. O Tannenbaum collection: this ribbon is simple, yet elegant with its metallic shine. Perfect for holiday decorating!, 1 1/2" x 22 yd in color Black. With wired edges and metallic stripe design, this is the perfect Christmas tree, wreath and package decorating ribbon! quality German Import!. wired edge Morex item number 11840/20-613. This product is made from 100percent polyester fabric. Made in Germany. Morex Ribbon is an importer and manufacturer of decorative ribbon, offering a large variety of creative, fashion-forward and fine European designed ribbon. The Metallic Dot Taffeta Ribbon is an elegant taffeta fabric topped with tiny gold dots. Its fabric has a crisp, starched texture giving a classy look to craft projects. Wired edges are perfect for shaping beautiful bows. 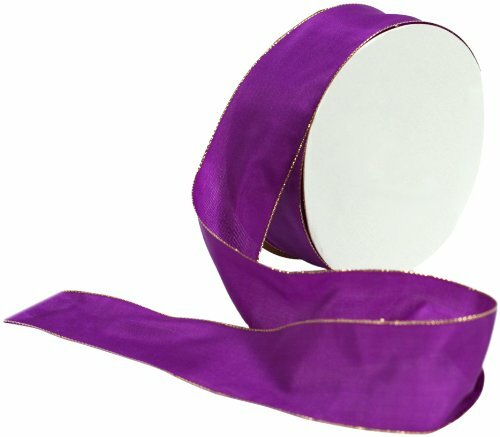 This ribbon is great for topping gifts, wreath making and garlands for any occasions. Made of 80% polyester and 20% nylon. 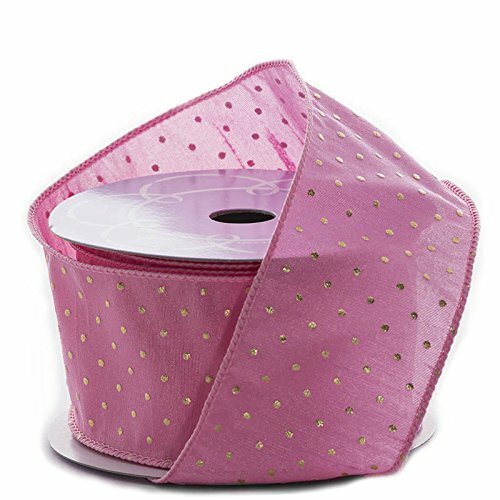 - 2 1/2" X 10 Yards Bubble Gum Metallic Dot Taffeta Ribbon . Found at www.papermart.com. 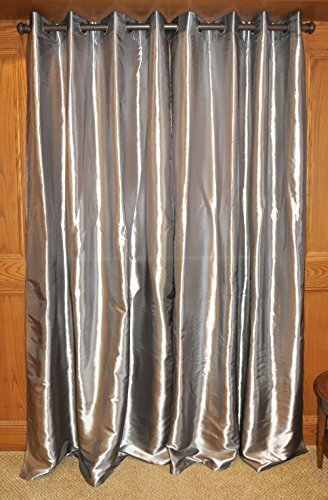 Easy care fabric grommet light reflecting Taffeta curtain/panel 55x 95Pewter - made with easy care fabric. The Metallic Dot Taffeta Ribbon is an elegant taffeta fabric topped with tiny gold dots. Its fabric has a crisp, starched texture giving a classy look to craft projects. Wired edges are perfect for shaping beautiful bows. 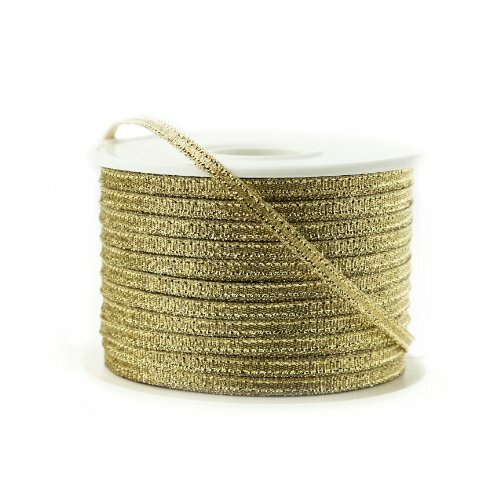 This ribbon is great for topping gifts, wreath making and garlands for any occasions. Made of 80% polyester and 20% nylon. 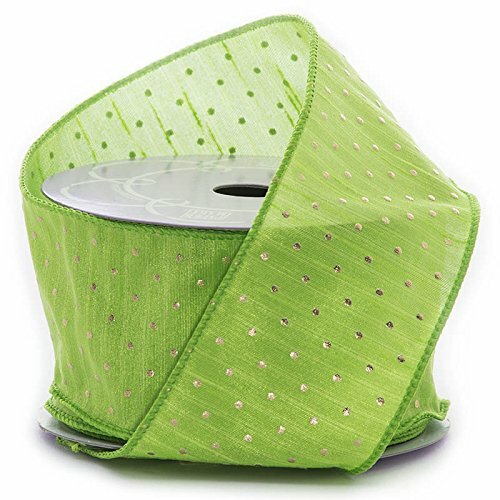 - 2 1/2" X 10 Yards Lime Metallic Dot Taffeta Ribbon . Found at www.papermart.com. The Metallic Dot Taffeta Ribbon is an elegant taffeta fabric topped with tiny gold dots. Its fabric has a crisp, starched texture giving a classy look to craft projects. Wired edges are perfect for shaping beautiful bows. 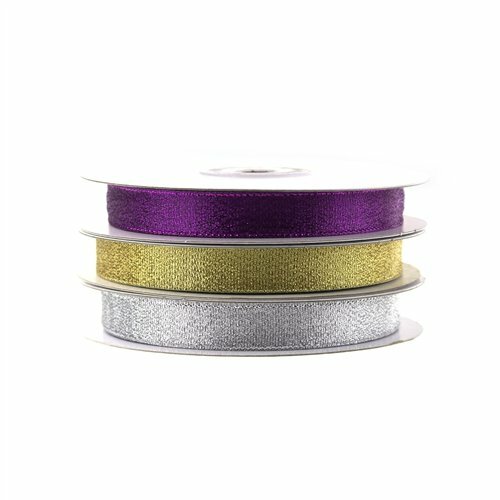 This ribbon is great for topping gifts, wreath making and garlands for any occasions. Made of 80% polyester and 20% nylon. 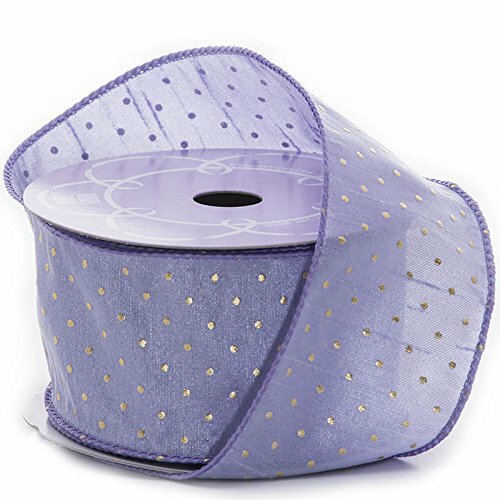 - 2 1/2" X 10 Yards Wisteria Metallic Dot Taffeta Ribbon . Found at www.papermart.com. 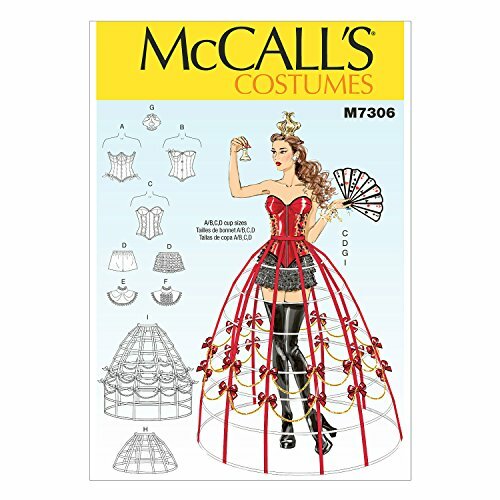 Corsets, shorts, collars, hoop skirts and crown: close-fitting, lined, interfaced, boned corsets have underwire, seam detail, back extension, lacing and purchased bias tape finish. B, c: seamed bra. Close-Fitting shorts (below waist) have elastic waist, no side seams, narrow hem and optional purchased trim. Lined collars have collar band and back button closing. F: ruffles and stays. Purchased trim for corsets, collars, crown and hoop skirts waist band and frame. Front closures: stud/busk a, box latch b, separating zipper c. Note: separate pattern pieces are included for cup sizes a/b, c, d. Fabrics: a, b, c, e, f: velvet, velveteen, silk, brocade, taffeta, lightweight synthetic leather. D: two-way stretch knits only: jersey knit. G: flannel-backed metallic vinyl. Lining: lining fabric. With nap without nap with or without nap see instruction sheets for lining, interfacing and notions information. Size combinations: a5(6-8-10-12-14), e5(14-16-18-20-22).